Afternoon Jam and Deep Squat Challenge Kickoff!!! We had our first Jam yesterday and it was a blast!!! 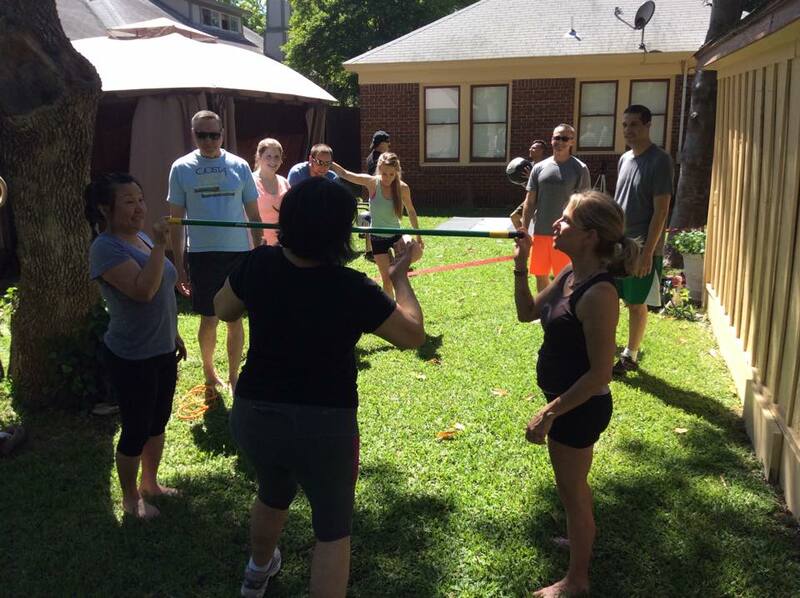 A beautiful afternoon full of acro, slacklining, hula hoops, and movement!!! Oh, and we played some limbo! The best workouts are the ones that you don’t even realize your breaking a sweat. You don’t always have to go to a gym to get in a workout. All you really need is your body and a little open space! Yesterday also marked the beginning of our Deep Squat Challenge! The challenge is to take 5 minutes out of your day, everyday, to chill in a deep squat. Sitting in a Deep Squat is human beings natural resting position. Our ancestors didn’t have lawn chairs and couches to sit on everywhere they went, that and most of the time they needed to be alert, they needed to be able to move in case something happened. Most people can’t even get into a deep squat, but its NEVER too late! Take a pic/video of you in a deep squat and post it to the facebook group Deep Squat Life or post it to your instagram @jonathansloanfitness or to your twitter @jsloanfitness. Add the #DeepSquatLife to your caption and be entered a chance to win 2 Saturday Mobility Classes and a $50 gift card to VH Restaurant in Oak Cliff! You’ll be entered everytime you post (1 post per day) so you have a good reason to post everyday! We’ll have a Potluck at the Studio on Saturday, May 16th at 11 am, after the Saturday Mobility classes, and have a drawing for the winner! Now lets get to Squatting!! !